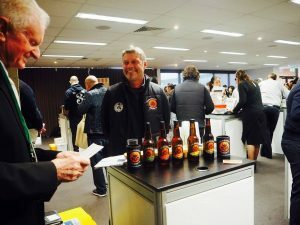 ExpoFood and beverage traders from Melbourne’s north gathered to showcase their products to the region. Companies from all over the region were keen to share their produce with other businesses and a delegation from Chongqing, who had arrived in Melbourne as part of an ongoing business relationship between the two regions. The China Opportunity Seminar Program focused on exporting to China for the third installment of the series. 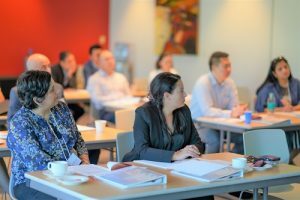 General trade, cross-border and daigou strategies were discussed in detail and exemplified by several case studies. 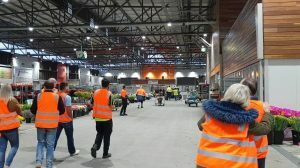 MNFG partners toured the Melbourne Market in Epping, receiving a behind the scene look into Victoria’s wholesale fruit, vegetable and cut flowers trading centre. The tour included a walk through the complex while stopping into a few stalls to sample some fresh produce. 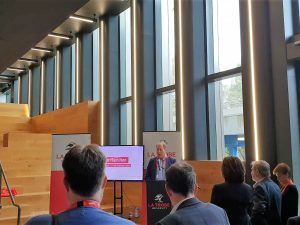 In partnership with La Trobe Business School, partners attended the Bundoora campus to learn of the future innovation is creating for food and agribusiness. Technological disruption was identified across the forum as a major contributor to future industry. Partners learned how they can harness and leverage innovation to assist in growing a globally competitive business. On October 31, food, beverage and education partners came together to discuss current industry trends and it’s future in Melbourne’s north. Food and beverage businesses had the opportunity to highlight to the education partners areas in which they require assistance. Student placements and consumer insights were discussed in detail as partners were determined to work towards some positive outcomes. 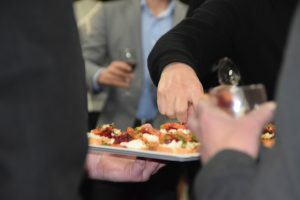 Great food and networking was on the menu at Melbourne’s North Food Group Business briefing. 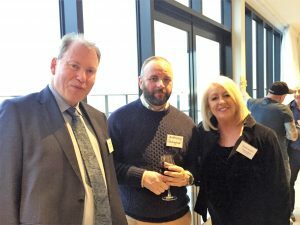 Proudly supported by the City of Whittlesea, Hume City Council and Quest Epping, 30 people gathered on the top floor of Quest Epping Apartment Hotel. Partners were invited to the event as an opportunity to have input and learn about the services MNFG provides for businesses. 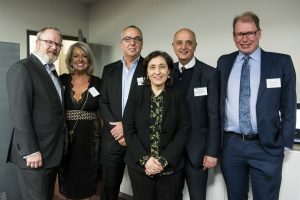 Melbourne’s North Food Group (MNFG) and NORTH Link partnered with Procurement Australia and Victoria State Government to host a “reduce your energy cost – energy group buying forum”. Over 30 attendees, MNFG partners included, were informed on collaborative group purchasing methods that could reduce operational costs. 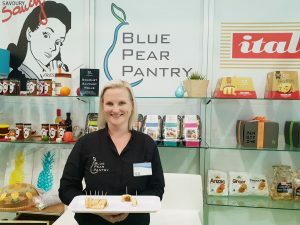 Fine Food Australia trade show was a great success for all involved. MNFG partners generated a range of international exporting, supermarket supply and brand recognition opportunities. Two partners won significant awards, including Best New Product. The expo is Australia’s largest food, beverage and hospitality supply expo. The Melbourne Market in Epping played host, accommodating over 150 attendees who have followed the MNFG journey, some as far back as the beginning. People were eager to meet and chat with fellow community members. 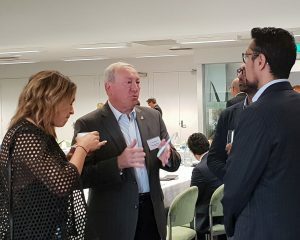 Conversations involving business opportunities, MNFG experiences so far and the future of food and beverage in Melbourne’s North. Excitement levels were high in June and July as Chinese suppliers from Chongqing and 163 Visa Entrepreneurs visited MNFG partners at their places of business. Partners were pleased with the opportunity to gain exposure to exporting opportunities in China. 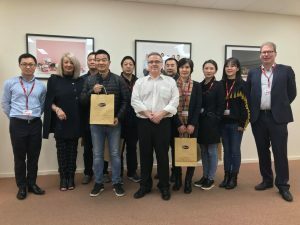 The Chinese visitors toured partners to find the next best Aussie product. The workshop was hosted by Paul Smarrelli, former GM of Preslite Australia. 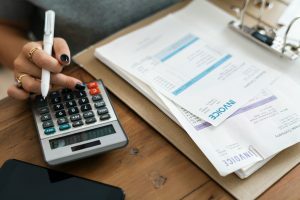 The workshop was a greatly insightful look at in-depth operational costing for business owners. This was the first time these concepts had been brought to light for most, allowing them to gain a better understanding on their organisation. A high-level delegation from Chongqing and Beijing visited Melbourne’s north in May to build trade relations between the two regions, specifically in food, beverage and related industries. The tour coincided with Melbourne’s North Food Expo on May 22. The delegation had a great opportunity to immerse themselves in local products.